Sorry, if i am asking a noob question. But i just can't find the answer on youtube (tutorials) or on the web. I have multiple layers. 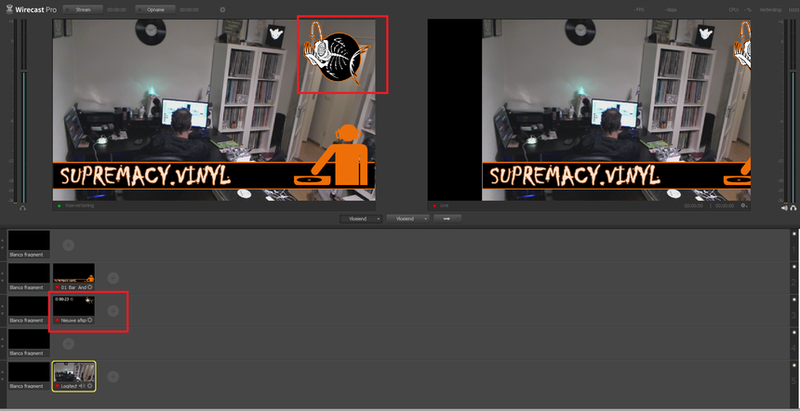 Video, the banner (including logo) and one layer for the logo right on the upper part. If i make a playlist that contains the logo on the right upper part and determine a transition between that one and another logo: the ENTIRE image, so ALL layers get that transition. But that is not what i want. I only want the transition to be on the layer of the playlist. Can that somehow be done? On the screenshot you can see that all layers, including video, banner move. I don't want that. I only want ONE layer (the one with the playlist) to move. Two shots. One with logo and one without. Transition between them. I would like the upper right side logo to transit, but not the rest. How to do it in steps? Domien Stoffels Create two shots, one with logo and one without. Dissolve between them or you could try Smooth transition but that might require a "dummy" layer where the logo was.